Can't Sleep? These Everyday Foods Just Might Help. There's nothing worse than jumping into the sack, and knowing you're not about to get any... sleep. It’s estimated that 50 to 70 million Americans are missing out on enough shuteye, and diet can be a major factor. 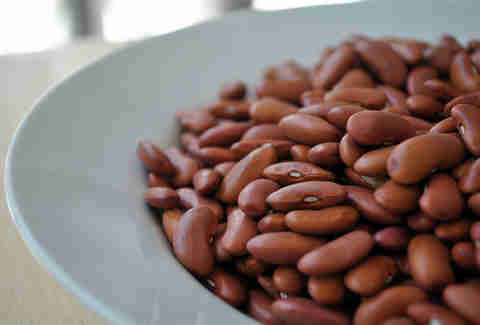 Beans may not exactly be NyQuil, but they're high in fiber -- and new research shows that there's a link between fiber intake and getting restorative sleep, which is clearly better than non-restorative sleep. The study found that participants who ate meals with more fiber spent longer periods in deep sleep. So go ahead and devour a (modest) bowl of baked beans tonight. You want to hit that perfect balance of sleepiness without gas that will wake you up. 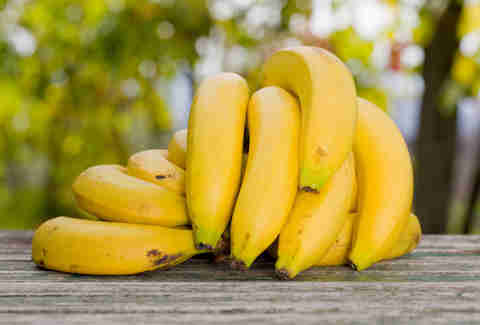 Bananas are a source of tryptophan (which makes you sleepy) and melatonin, a natural hormone that's known for helping regulate your body’s clock -- and blood levels of melatonin go up significantly about two hours after eating a banana. It's probably a good idea to keep a few on hand for when you're fighting jet lag. Nuts are a double whammy, considering they make a light snack and are packed with oodles of natural, sleep-inducing ingredients. Walnuts, for example, are a good source of melatonin. 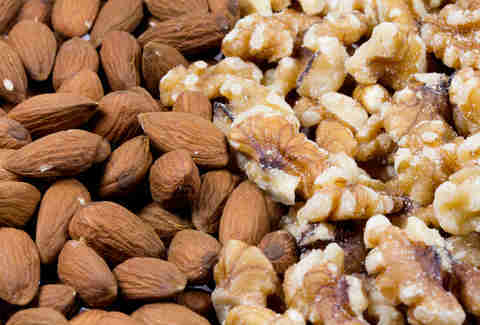 They, along with almonds, will also give you magnesium, which may help you sleep. 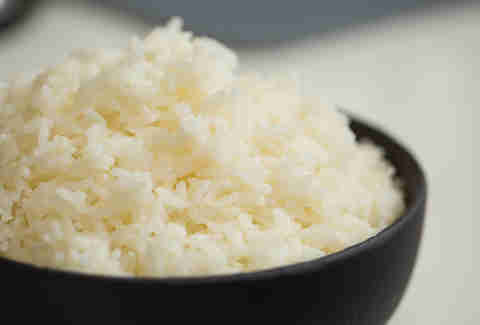 Rice is a carb that helps release tryptophan and melatonin to the brain. Japanese researchers recently found that sleep quality and efficiency was better when participants ate foods high in the glycemic index, such as rice, which may seem like a convenient subject for Japanese researchers to study, but there it is. Seeing as shrimp is also high in tryptophan, what are you waiting for? Excuses for eating takeout sushi on your sofa never looked so good. 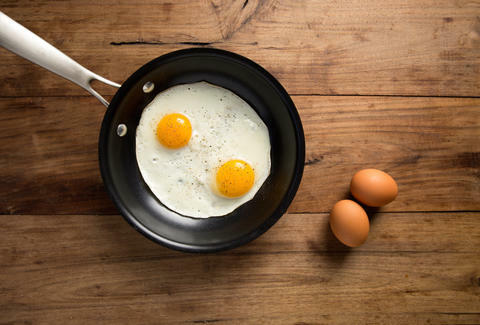 Breakfast for dinner is a revelation that everyone needs to try at least once, and eggs happen to be light and fluffy fare that’ll help you get to sleep faster. The study above also found that participants passed out more quickly after eating meals higher in protein. 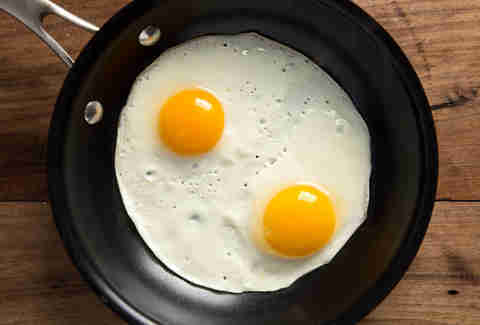 Seeing as eggs are loaded with protein, there's no better time to turn your typical early meal into a late one. If your mom gave you hot milk during a childhood bout of insomnia, she’s a smart lady (but you knew that already), since dairy is also high in tryptophan. That said, tryptophan gets triggered into working its sleepy magic through carbohydrates. 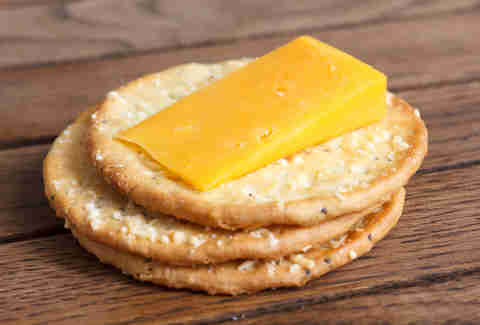 That's why cereal and milk or cheese and crackers both make for great Sandman snacks. "You shouldn’t go to bed hungry, but should also not be having anything more than a light meal," he says. "So after eating, it’s best to take some time before going to sleep, around two hours for proper digestion." Barbara Woolsey is a Berlin-based writer who can fall asleep after eating anything. Follow her semi-conscious adventures on Facebook and Twitter.